I came to drink the water. A great fertile crescent, the Delta region of Mississippi is known for its deep topsoil and slightly askew horizon, sprouting row after row of cotton, soybeans and corn. 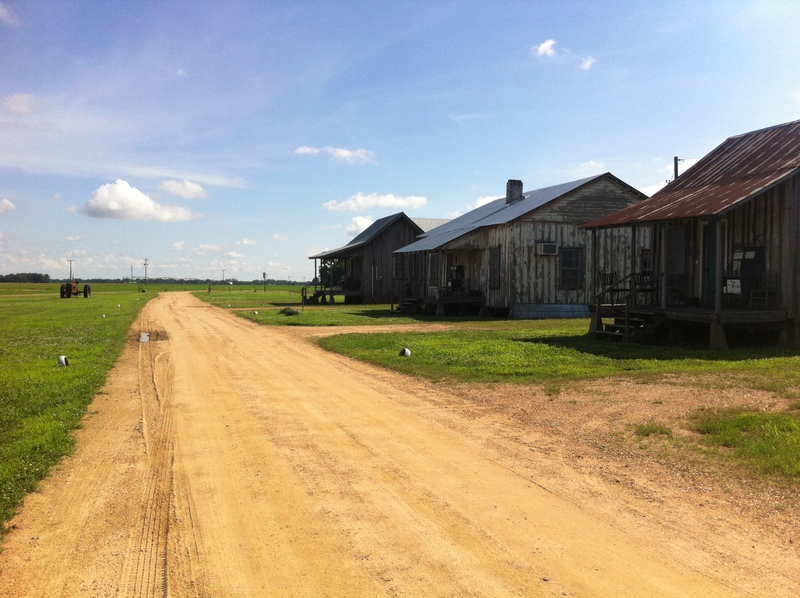 Through centuries of flood waters and isolation, a unique culture has grown here too, most often portrayed through the blues tunes of juke joints, lawyers and novelists who also seem to spring from the land and are known the world over. Don’t worry –I didn’t literally cup my hands when we finally stood on the banks of the river like Ponce de Leon searching for the Fountain of Youth. Nor was I truly convinced some secret ingredient could magically grant me the same prowess as the successful writers who have collectively called the Magnolia State home. If water was truly all I drank, I would have returned a few pounds lighter, both in terms of the books I toted back and all the “Miss’ippi” (read: bourbon and catfish) that seeped into my soul. Williams was also heavily influenced by time spent in New Orleans, and Cajun life extends to Columbus tables, particularly those at J. Broussards. Conversation turned to Galatoire’s while forks dug into brie baked with brown sugar, crispy Gulf shrimp mousseline with Creole pepper jelly, pecan-pane catfish and homemade Jack Daniels sea salt caramel ice cream. Before making our way to Welty’s hometown of Jackson, I knew more about the Kardashians than the acclaimed author. Afterward, I wished nothing more than to have joined her for a cocktail on her porch. A different kind of celebrity, Welty spent 73 years in the Tudor Revival before her death in 2001; now maintained by the state, the home and gardens remain one of the country’s most intact and authentic literary houses. She received 38 honorary doctorate degrees and more than 40 major literary awards in her lifetime, yet you won’t see one on display. Nearly every wall (and available seat) is covered with art, thousands of books and many mementos from her many friends. Even the latter continues to inspire fellow writers — “Meanwhile There Are Letters” is a new release, compiled from Welty’s letter correspondence with novelist Ross Macdonald. It is so easy to picture her sitting at her typewriter with the window open, working in her garden or eating at the Mayflower Café downtown. If you choose to visit the famous lunch spot, the “comeback” salad dressing is a must, and again, you can’t go wrong with fried fish. Fans of more recent Jackson native Kathryn Stockett may recognize the diner interior from the big screen adaptation of her book, “The Help.” Scenes were also filmed in Fondren, Jackson’s funky neighboring community of artsy shops with nostalgic storefronts. We delved deeper into the Delta, where the cosmopolitan Alluvian Hotel is least expected and a welcomed anchor to downtown Greenwood. Recreated from the 1917 Hotel Irving, the elegant lobby displays eye-catching William Dunlap artwork and spacious guest rooms are more than comfortable. Owned by Viking Range Corporation, your stay at The Alluvian could include a class at the cooking school or High Cotton Indulgence at the Spa, but our afternoon was otherwise booked. A few blocks down Howard Street, Turn Row Books is a place to get lost for hours and was designed to do just that, with an inviting back porch and upstairs café. Owner Jamie Kornegay speaks softly and kindly, sharing suggestions with shoppers. He opened the store in 2006 after learning the trade at Oxford’s famous Square Books and studying creative fiction under Barry Hannah at the University of Mississippi. While chasing the green historical markers, it’s hard to miss another shade of signs marking the state’s Blues Trail. Considering how the places they lived and times they faced influenced their music, the blues and literary traditions are two birds of a feather in a state where everybody has a story to tell. The morning we departed for Greenville coincided with B.B. King’s public viewing, and off we went on a brief detour to Indianola to pay respects to him and Lucille. While waiting with thousands of others in line, friendly locals directed us toward a roadside hot tamale stand. After four days of being in Mississippi, I saw the river and truly felt I had a taste of the Delta. In fact, Greenville is now dubbed the Hot Tamale capital of the World. Albeit no glammed-up hotels or cosmopolitan restaurants in sight, a roundup of literary towns would be incomplete without this little town which boasts “more published writers per capita” than any other in the nation. Inside the William Alexander Percy Memorial Library, a humble Writer’s Exhibit on the second floor begins with his family’s contribution and the following string, including Walker Percy, Ellen Douglas, Beverly Lowry, David Cohn, Charles Bell, Ben Wasson (also Faulkner’s literary agent), Shelby Foote, Hodding Carter (Jr., III and IV) … the list goes on, but has yet to be updated with my favorite Julia Reed, who grew up two doors down from the Percys and whose memoirs truly piqued my interest in visiting Mississippi. Instead, the exhibit describes a town where everyone wanted to become a writer, or was keenly aware of who in the community would be so lucky, while “sober citizens wonder who will do the useful work such as baking bread and repairing cars,” to borrow the words of David Cohn. By dinner, it was hard to believe the coincidence when while delivering our oysters, the waitress at Snackbar confessed she moved to Mississippi to become a writer, to drink the water.